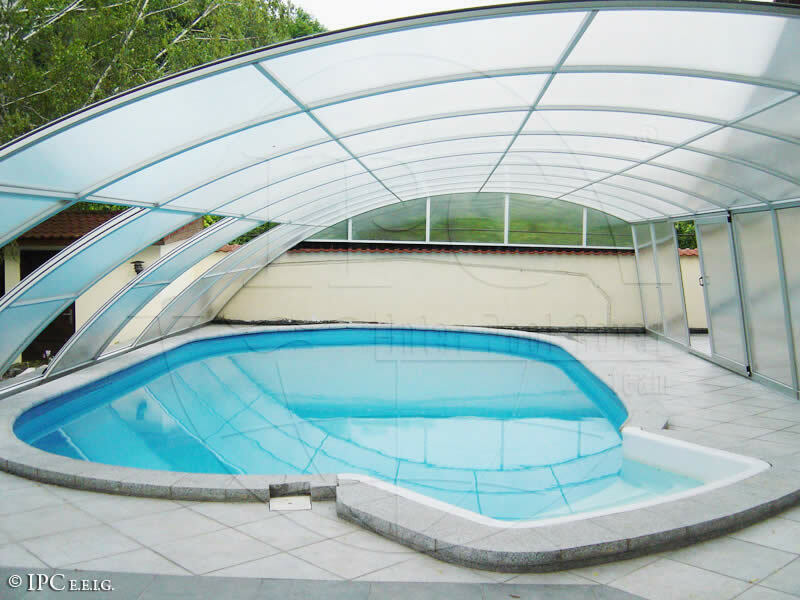 A combination of simple walls, inclined at about 800, and arched elements. 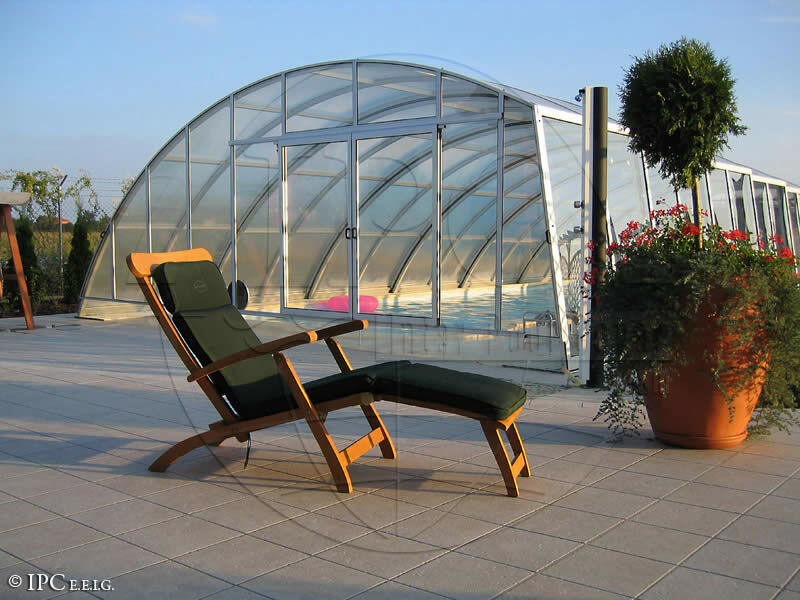 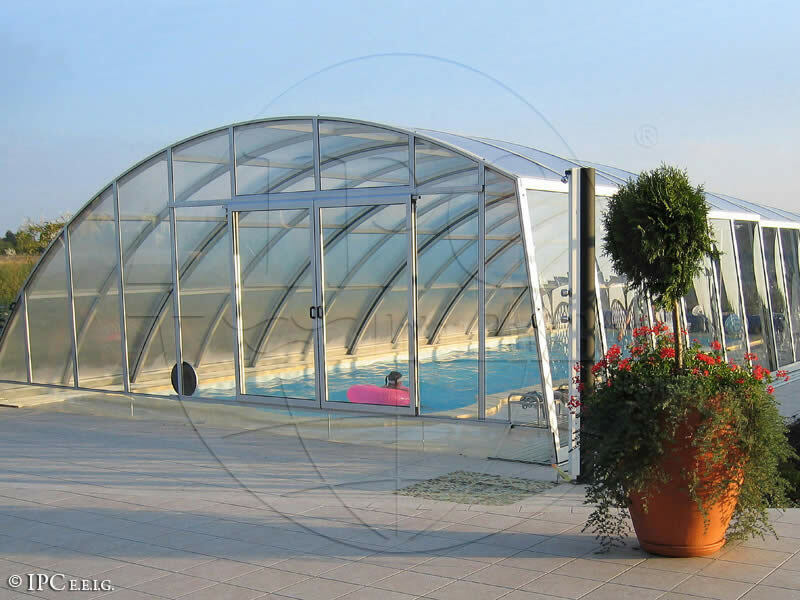 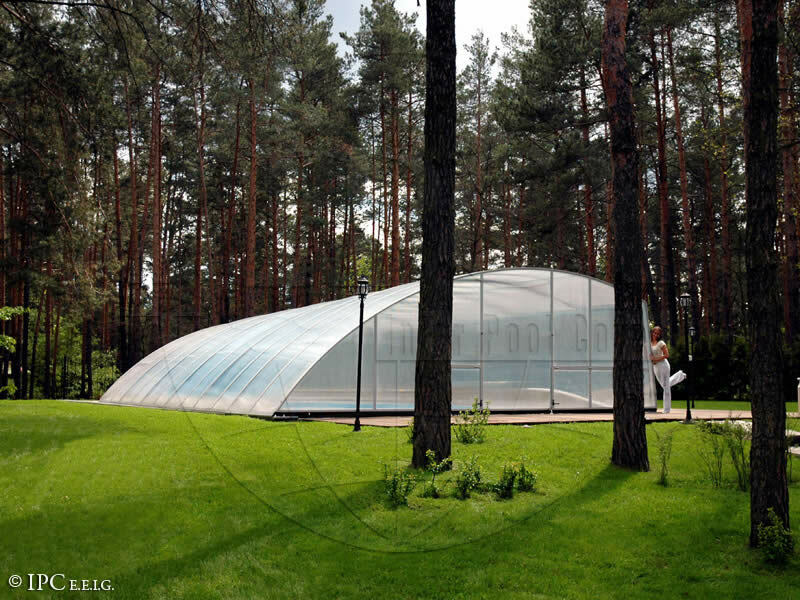 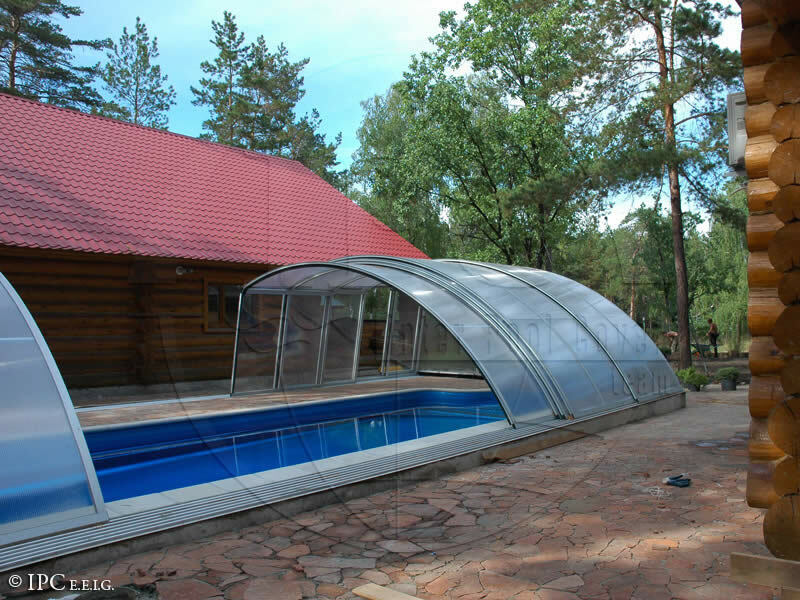 The shape of the construction ensures easy movement around three sides of the swimming pool. 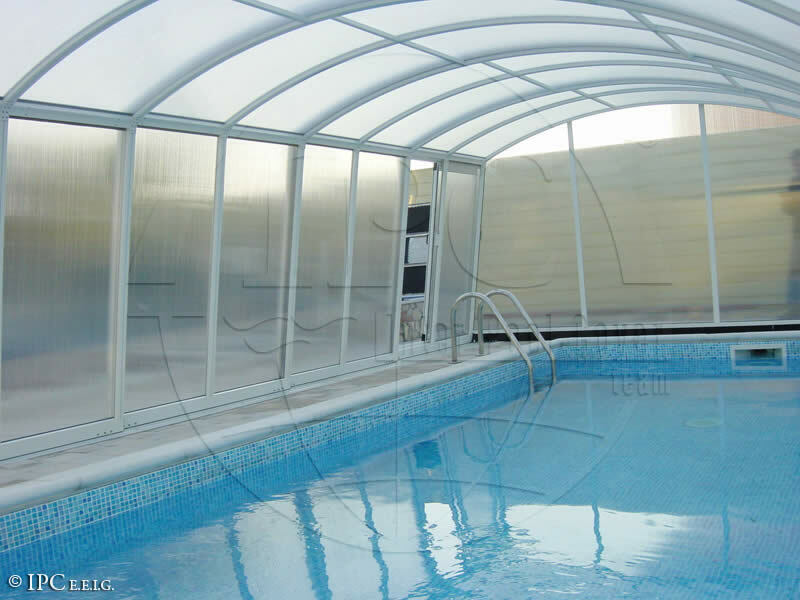 A sliding door is fitted in the vertical side wall, and a swinging or sliding door may be placed in the end walls. 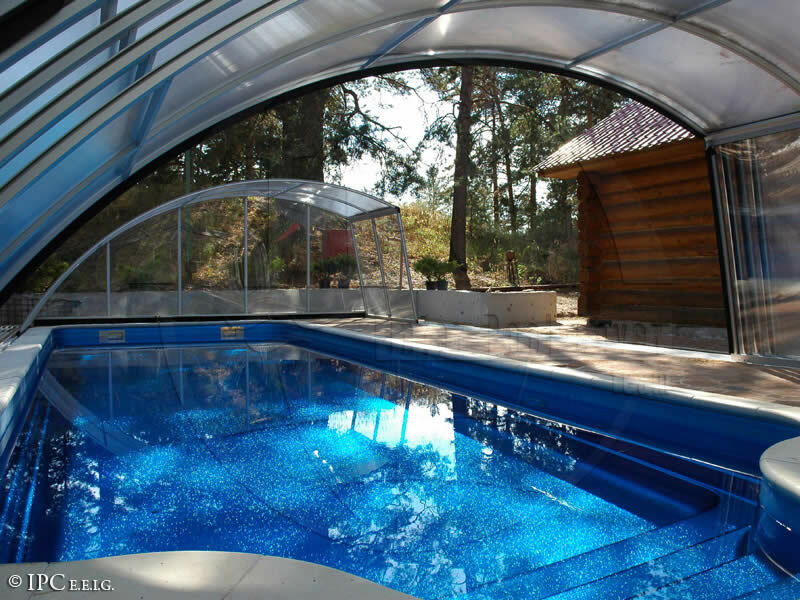 The Ravena line is an optimal solution from the point of view of the size and functionality of the enclosure. 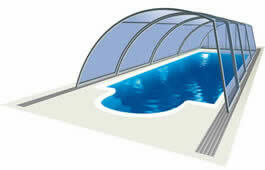 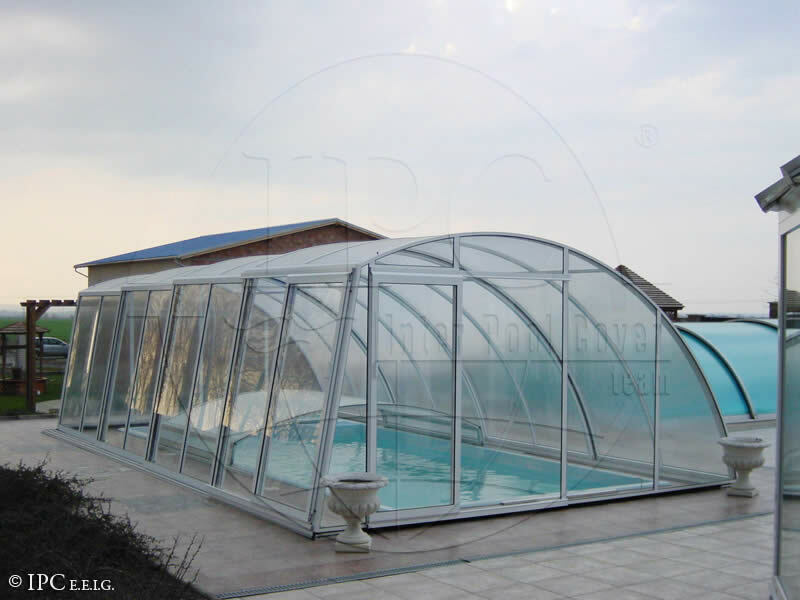 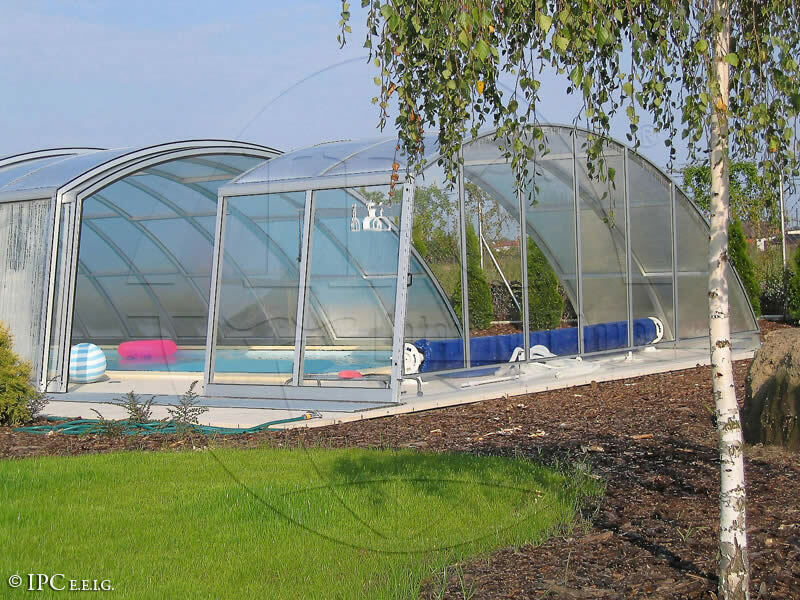 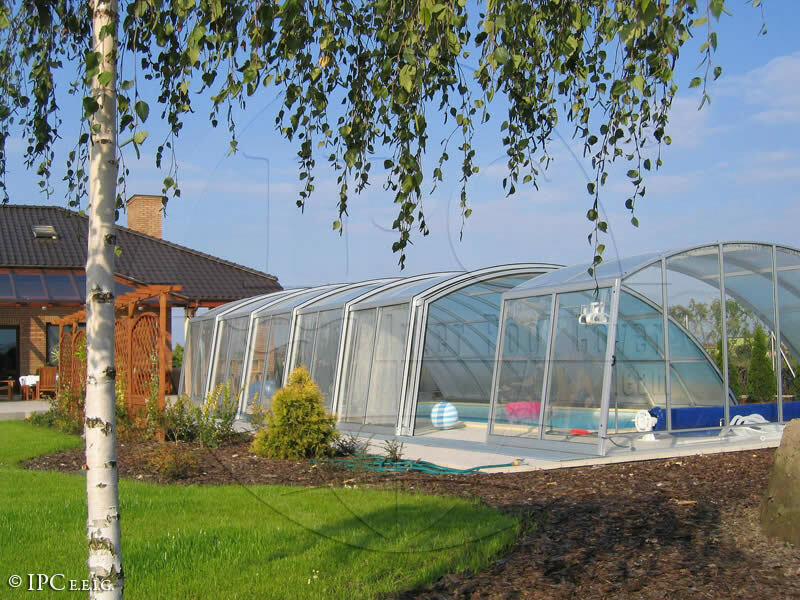 This model is particularly attractive for swimming pools located alongside buildings or existing walls. 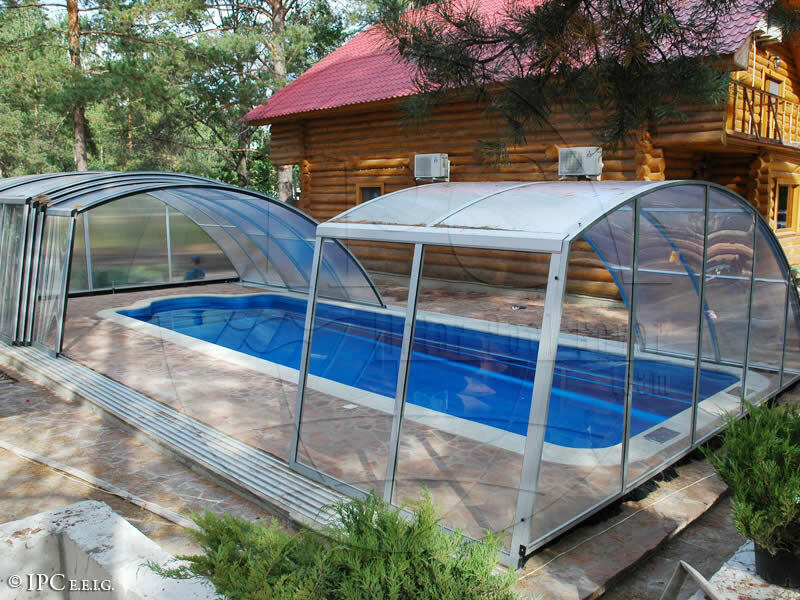 Due to its modern design and fine appearance it can be recommended in all conditions.